About to give up in your Week 3 or Week 4? Before you do…. Home > health > About to give up in your Week 3 or Week 4? Before you do…. 29 Aug About to give up in your Week 3 or Week 4? Before you do…. 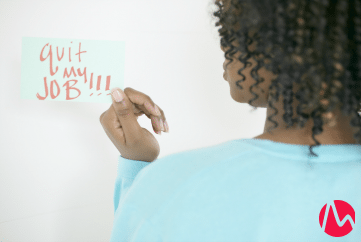 Have you ever felt the urge to quit a job, end a relationship, cancel a booking, halt a project or walk away from something else during the second half of your monthly cycle–your Week 3 and Week 4, which spans the day after ovulation through the day before your next period? I’d like to tell you to hold off. Don’t end whatever it is you want to end. At least until you have another look at the situation during the first half of your cycle–your Week 1 and Week 2, which spans the first day of your period through ovulation. There’s a chance you may see things differently and be glad you stuck with it. Lots of things can impact why you want to make a major break–for example, it’s not turning as you’d hoped, it’s not fulfilling or it’s draining you emotionally or financially. During the first half of your cycle, rising estrogen helps you stay optimistic, excited and focused on the benefits and what’s going right–whether it has to do with your job or romantic relationship, hobby, project or anything else. And, it makes challenges seem easier to overcome. It’s simply the way this hormone works: the higher it climbs, the more it prompts the brain to churn out more chemicals that boost your mood and resilience. As a result, you can appreciate all the experience your job is giving you, you love your mate’s quirky sense of humor and you’ll be great at the drums with just a little more practice. During the second half of your cycle, two dips in estrogen and higher levels of progesterone have the opposite effects: These hormonal changes make you prone to seeing problems and challenges more realistically–and, if I’m being perfectly honest here, often more negatively than they really are–which can make them seem overwhelming and unfixable. And, all that excitement you had can be replaced with feeling blah and uninspired. That’s because this hormonal change causes the brain to churn out a lower amount of chemicals that boost mood and resilience, making you more easily disappointed, frustrated or bored. As a result, your boss’s ego is unbearable, your mate’s idea of pitching in to help is subpar at best and you’re pretty sure no band will ever want you as their drummer no matter how many hours a day you practice. Clearly it’s easier to stick it out in the first half of your cycle when you’ve got the hormonal winds at your back egging you on, making everything seem great and problems easy to overcome. And, during the second half of your cycle, well, things can seem pretty sucky. Well, I’m here to tell you that when things don’t look so rosy during those Week 3 and Week 4 days, unless there’s a serious reason to call it quits (like your boss nixed your pay raise and stole your brilliant idea or your partner drained your bank account and gave away your cat), then you might be happier staying put. That’s because these negative feelings may just be temporary. And, you could be appreciating all the positive benefits again in just a few days. I was recently reminded of this when I wanted to make a big break. Every month, my husband, Douglas, and I host a MeetUp group in our living room where we invite folks over to enjoy a deeper “salon”-type of discussion. We talk about culture, history, technology, the future, the past, you name it. We’ve had this particular MeetUp group in St. Petersburg, Florida for the past three years. Normally, I enjoy it and look forward the next one. But, this past month on the day the MeetUp event was scheduled to take place, I suddenly decided I didn’t want to host this group anymore. I was coming up with a whole bunch of reasons why: I’m short on time, it’s frustrating when people RSVP then don’t show, and what’s the point of it, anyway? So, I told my husband this was the last MeetUp I wanted to host and even drafted an “It’s over!” email that I planned to send out to the group members after the event. My husband, wise man that he is, advised me to hold off on making a final decision to end the group and sending the letter. “Just mull it over,” he said. Fast forward to the end of “last” MeetUp. It was fun, everyone showed up and we had a great discussion. By the time it wrapped up, I had changed my mind about ending it and erased the letter from my computer. All this happened during my Week 3. I’ve come back around to the first half of my cycle again and, wow, am I glad I didn’t pull the plug on my MeetUp group–because I can’t wait to have it again! I’ve even planned topics for the next three months. See what a difference hormones can make? Stepping back, I could see that during my Week 3, I was focusing more on problems than benefits and had a huge case of the blahs. But, then the event reminded of how much I really do enjoy it and am willing to put up with minor irritations for such a rewarding activity. And now I can’t wait for the next MeetUp to take place! How can you know when it’s time to make a break? If hormones make you happy with something one week, but not another, how can you tell when it’s really time to call it quits? As I mentioned, if there’s a serious issue involved, then that’s obviously grounds for dismissal on any cycle week. But, if you’re in the second half of your cycle and you find you’re on the fence going back and forth or your reasons for quitting are kind of lame or they’re about issues that could be fixed or overcome, then wait it out till the first half of your cycle to mull over pulling the plug again. If during your Week 1 and Week 2 you still feel deflated with the job, relationship, hobby, etc., then this is how you know it’s time to cut ties. Because if rising estrogen on these days can’t make you happier with the situation, and the situation can’t or won’t change, then it’s time to throw in the towel. Don’t want to have those annoying “I quit” feelings cycle after cycle or want to chase them away when they arise? Think more about the benefits so you don’t get overwhelmed by the challenges. Consider various ways to overcome problems to improve the situation. Recall why you started this job/relationship/hobby/project/etc. in the first place to re-ignite your passion for it. I hope this gives you a bit more insight into why you feel like cashing in your chips during the second half of your cycle–and helps you deal with it in a more positive way. If you’ve got a similar story to share about wanting to call it quits during your cycle, let me know! As if I wouldn’t! Sign me up!